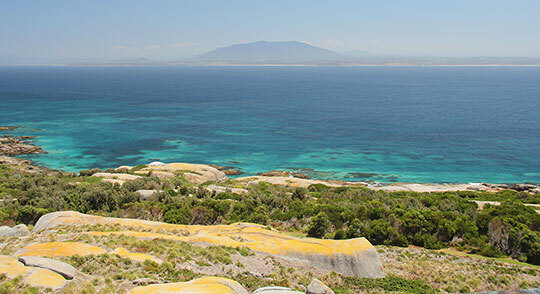 Come to Montague Island - swim, snorkel and dive with the seals! Join with us for the most amazing tours on land and sea! 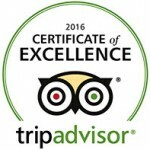 Island Charters Narooma, proud to be #1 on TripAdvisor. We’re now number #1 on TripAdvisor for Narooma Seals! We pride ourselves on our customer experience and satisfaction. We love sharing what Narooma and the far South Coast have to offer. We offer Boat tours out to Montague Island and for the adventurous hop in the water to Snorkel with our puppies of the sea (seals) and Bus tours around the area and from Canberra with all inclusive packages as well as self drive options available. Experience the best of what Canberra coast and Narooma has to offer – come and join us for some fun on the water! We are the ocean adventure specialists! Now with Padi Scuba Courses and Bus tours. We provide personal service for small groups of up to 12 for our boat tours and our dedicated crew will ensure each of you have a memorable time – whether cruising, fishing, diving, snorkelling, whale watching, visiting Montague Island for a NPWS guided tour or doing a bit of everything OR come on one of our bus tours departing from Canberra or pick up in Narooma so we can show you our little piece of paradise we have on the south coast of New South Wales, Canberra’s coast. NEW! Meal with a Seal. Join us on a cruise around Montague Island, targeting locations known for Australian and New Zealand fur seals. Enjoy the region’s finest produce for lunch, including fresh oysters, fish, locally smoked bacon and Tilba’s famous cheese. We continue with a guided lighthouse tour by the national park ranger, and a guided snorkel tour with the seals, or history and tales of Montague island with a light afternoon tea. A range of charters for all. Island Charters Narooma runs a wide range of trips Including Boat and bus tours and strives to be flexible to accommodate your needs. Trip times and lengths can vary and if you can’t find what you want to do on the day you want to do it – give us a call and we will see if it is possible. Our charter tours are perfect for small business relaxation, reunions, bucks / hens parties, and family get-togethers. 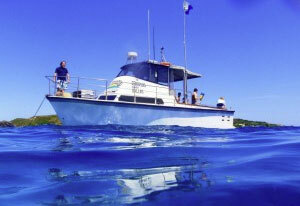 Come to Montague Island with Island Charters Narooma – we are the Ocean Adventure Specialists! Narooma is the gateway to Montague Island and the Batemans Marine Park. And we are the ocean adventure specialists – we love what we do and we love where we live! Since 1999 we have been sharing the joys of this paradise with other fisherfolk, scuba divers, snorkelers and lovers of our marine life! A cruise around the island and a visit to the seal colonies is a must while in Narooma. We include lots of interesting tales and spotting of other wildlife. Island Charters Narooma runs a fully authorized & insured PADI dive vessel, it’s skipper Chris with a master class 5 – a qualified PADI Dive master with over 600 dives logged. We uphold a strong reputation with dive shops, professional divers and marine photographers over the world – so when you visit Narooma, come and dive with the best (just check out our TripAdvisor ratings!). So check out our charter tours, we have numerous options and mixed adventures to cater for all people! Tour Montague Island, an unspoilt haven. Montague Island is a wonderful place to visit. 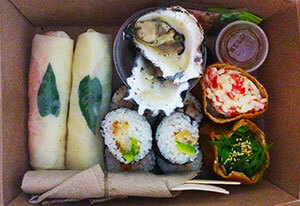 It has won countless awards and been featured on numerous travel shows as one of those ‘must-dos’. It is the only manned island light station on the NSW coast and one of only a few light stations open to the public. The view from the top is wonderful. Just 9km east of Narooma, the 200 acre island is protected is also home to thousands of seals, little penguins and other birds. 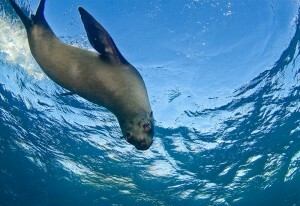 It is a favorite scuba dive and snorkel destination because of the thrill of diving with the playful fur seals, the huge variety and quantity of tropical and temperate fish, the amazing natural formations around Montague island, the incredible variety of marine life including diving with the Grey Nurse Shark in season. Not far away is the 120-year-old wreck of the SS Lady Darling. Montague Island is just 9kms from Narooma and the continental shelf is just a further 10kms. This relatively shallow channel of water creates one of the best fishing regions in eastern Australia with great reef fishing all year. Snapper, morwong, leatherjacket, wrasse, longfin perch and flathead abound on the reefs. Over the warmer months we often target kingfish, as the local variety is not only a great fighting fish but also excellent eating. If you want some game fishing fun- come with us out to the shelf for some marlin, yellowfin, bonito and albacore. Fishing out of Narooma has got even better since trawling has been banned with the formation of the Batemans Marine Park on the south coast of NSW. 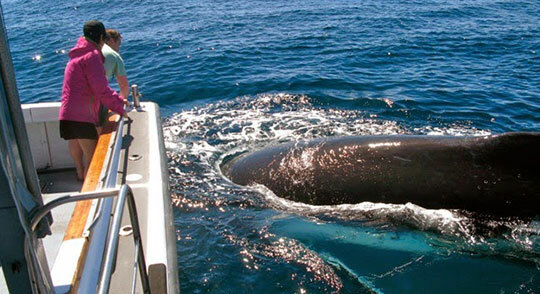 Whale watching usually takes priority here between September and November. Where else on the coast can you see whales and visit a fur seal colony all in a 2 ½ hour trip! It is quite common to see 5 or more pods of whales. The migrating whales, mostly humpbacks, stay between the shore and the continental shelf- meaning that their numbers are more concentrated off Narooma than where the continental shelf is much further from land.